"We are not going to compromise character for talent. We’re the Cubs. We’re going to have both. Talent and character." One of the hot buzzwords in both business and sports today is culture. Everyone talks about it yet few are able to actually build the culture that they desire. 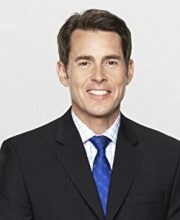 Tom Verducci, author of The Cubs Way, takes us on the journey of how the Chicago Cubs made the transformation from being a last place team (with a 107 year championship drought) to become one of the most iconic teams in baseball history, eventually winning the 2016 World Series. Through interviews and access to Cubs players, coaches, and personnel, Verducci, a Sports Illustrated senior baseball writer and analyst for Fox Sports and MLB Network, shares how the championship team evolved. Not only a story for baseball and Cubs fans, The Cubs Way can be looked at as a blueprint for any leader on how to build the type of culture and environment that succeeds. Lessons emerge that can be applied to leadership, teamwork, culture creation, setting vision, executing strategy, collaboration, sacrifice, and much more! "The brilliance of what the Cubs did was to put their faith not just in numbers, but also in the type of people they acquired." The transformation began in 2012 when Theo Epstein became the Cubs’ President of Baseball Operations. Early on in his tenure, he brought his team together to set the vision of who the Cubs were going to be as an organization. During this meeting he very clearly stated they were “not going to compromise character for talent. We’re the Cubs. We’re going to have both. Talent and Character.” This was their line in the sand, and set the foundation for how this new era of the Chicago Cubs baseball was going to be built under his leadership. This focus on character and the type of person (player) they were going to bring into the organization is not new. Everyone wants to work with good, talented people, right? The challenge is that the need to produce results immediately is a pressure that we all face in some way or another, especially in professional sports. What Epstein had learned over the previous 10 years is that without character, talent isn’t enough to win out and if it somehow does, it’s temporary and not sustainable. "C stands for the courage ‘to do the right thing’, even if it is scary or uncomfortable; U is for the urgency ‘to do the right thing right now’; and B is for belief ‘that we can do it’." There’s a powerful leadership lesson to be learned from Theo Epstein in the development of the “That’s Cub” motto, and that is: inclusion. Above we learned how Epstein set the vision for who the Cubs desired to be. He then solicited the input from the rest of his leadership team, coaches, scouts, etc. to help determine how they were going to get there. From those conversations the collective organization developed the Cubs Way which was “how we want to play the game, how we’re going to teach the game, what kind of human beings we want in the clubhouse, and what we’re going to stand for as an organization.” Epstein set the vision, then gathered buy-in which resulted in heightened engagement and an agreed upon plan and process for how the organization was going to do things. These common processes, approach, language, and collective buy-in for how each piece of the organization operates, is how they built the foundation for the Cubs culture. "It was his golden rule of managing: connect, trust, and lead—in that order." Trust is critical to any team’s collective success. And while it may seem obvious, it’s not necessarily common practice. To have a leader clearly communicate that the first priority of the team is to better get to know one another in order to build trust so that the team can learn from each other and exchange ideas, and ultimately accomplish the organization’s goals, is paramount. Simple, clear and in line with the expectation set forth from his bosses, John Maddon further created this total alignment within the organization, from top to bottom. Two things stood out to me the most while reading about of the rebuild of the Cubs organization. The first is their laser focus on getting the right people into the organization and onto the team. The second is how they communicated as an organization. With the focus on bringing in talent with character and communicating this standard throughout the organization, the Cubs were able to build a winning culture that ultimately took them to all the way to winning the 2016 World Series. Whether you’re a business leader, team leader, or individual contributor, there’s a lot to be learned from the Cubs deliberate approach. If the Cubs can rebuild and end a 107 year World Series drought, you can most certainly shift the culture of your team or organization!